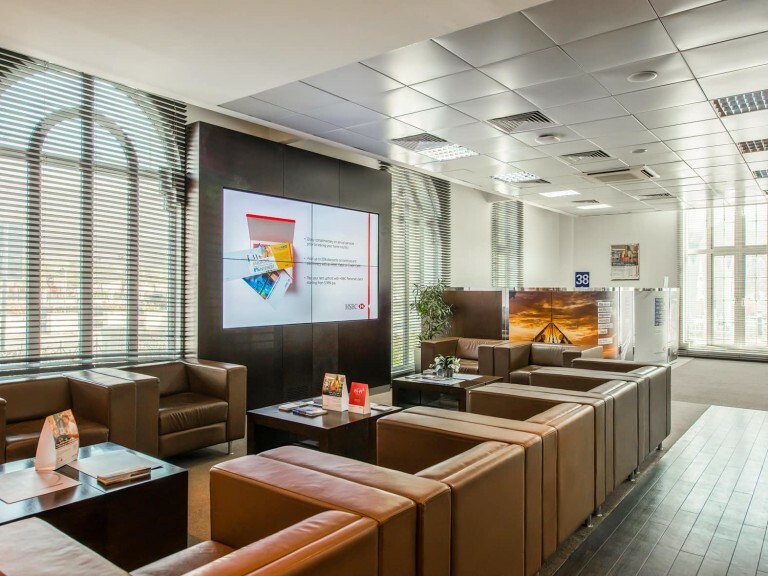 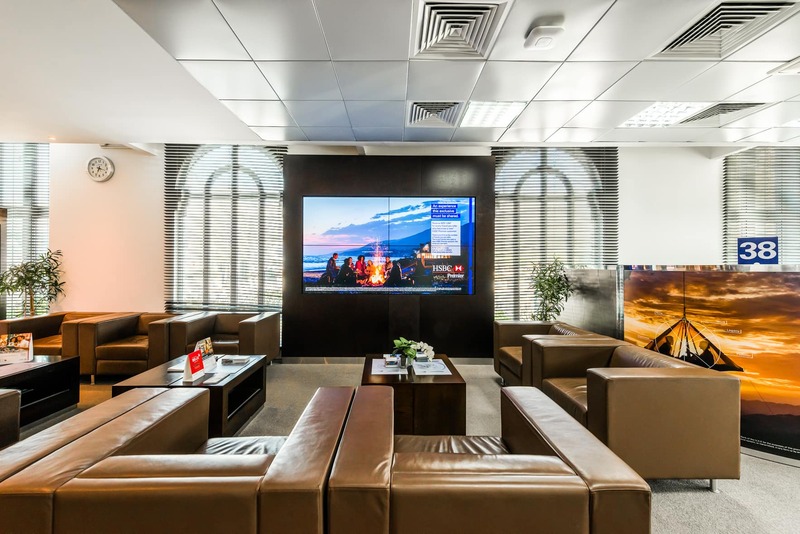 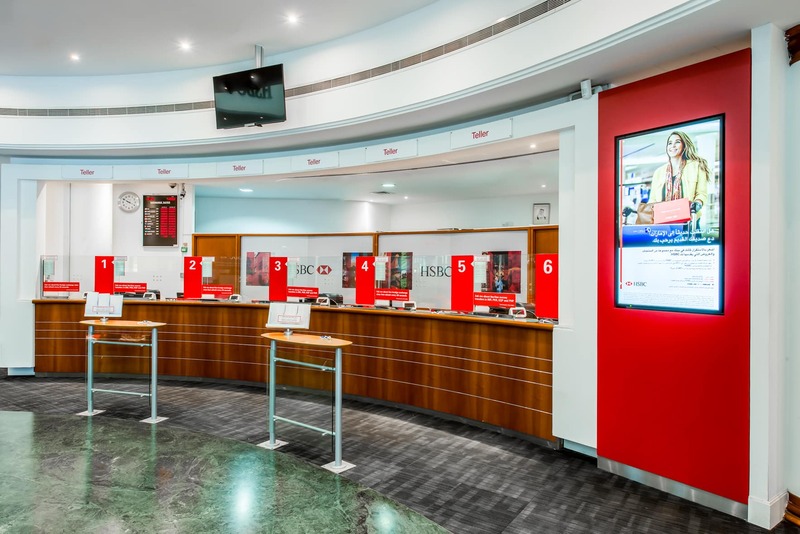 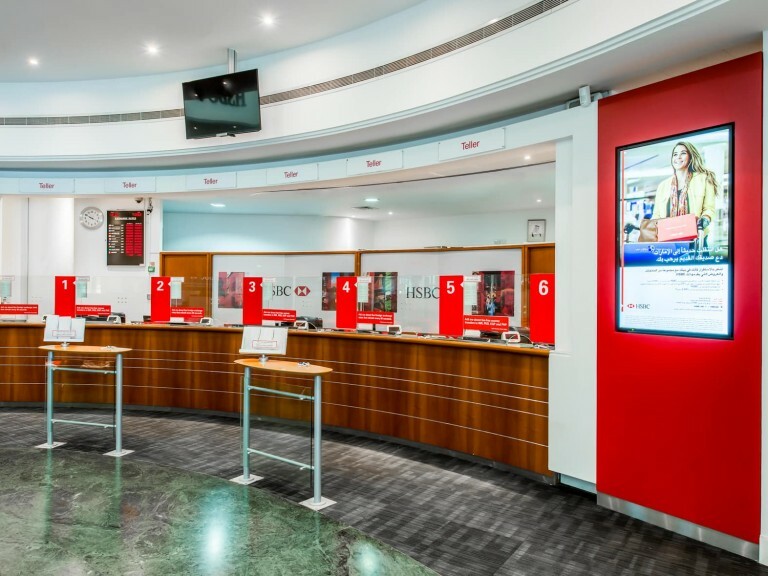 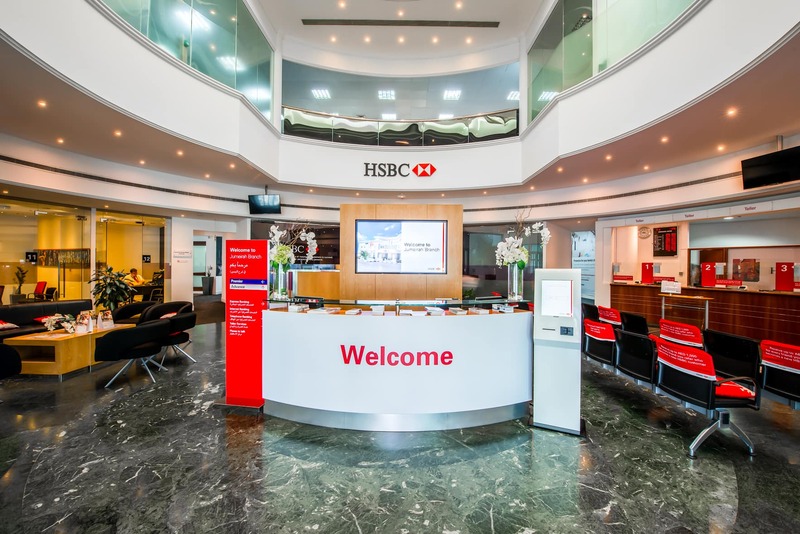 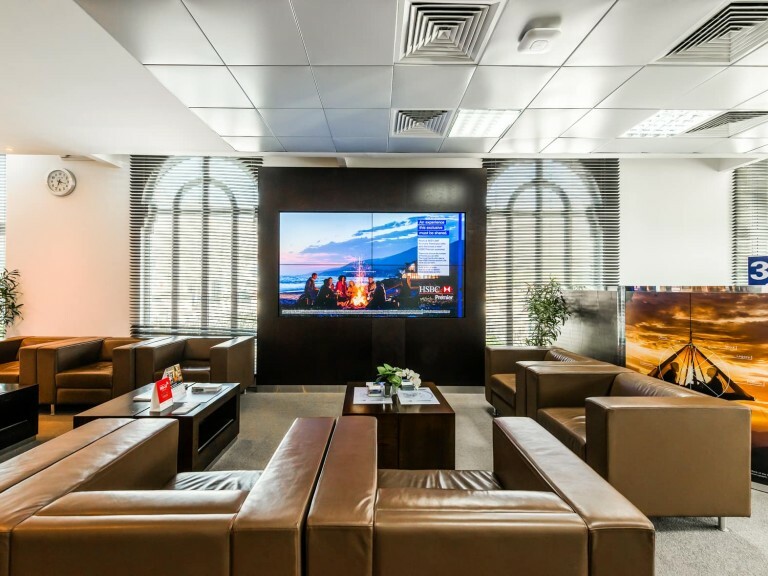 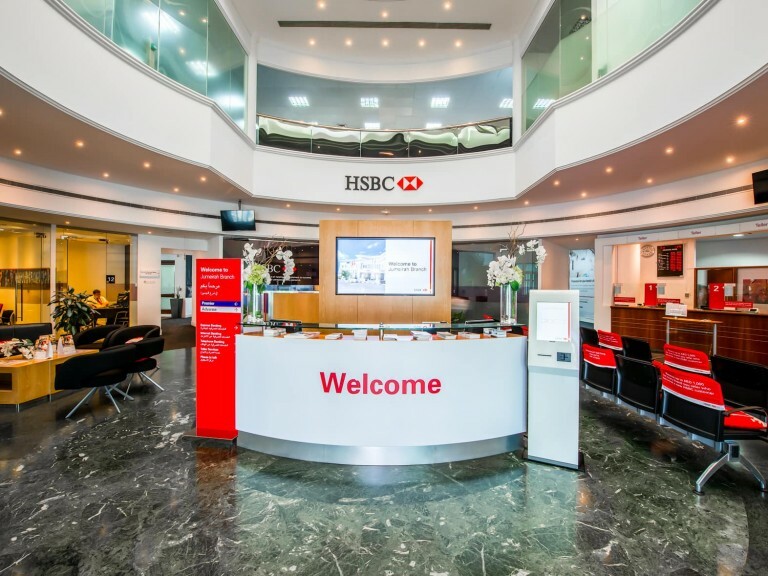 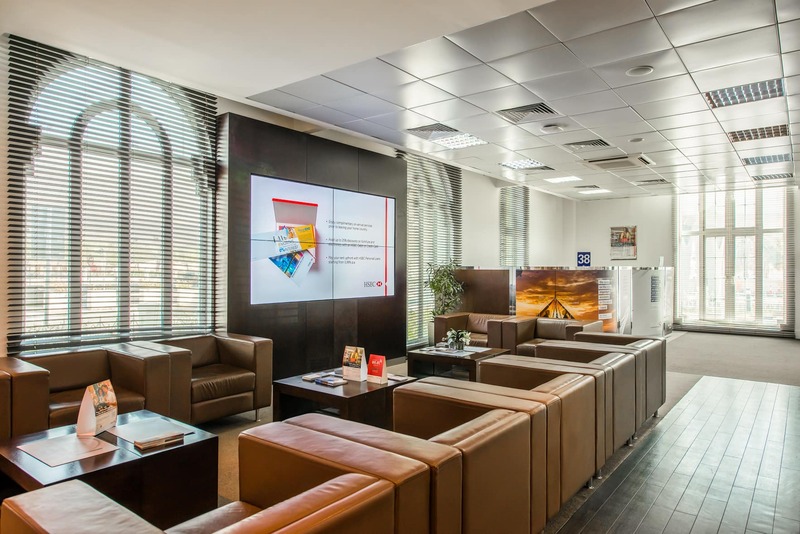 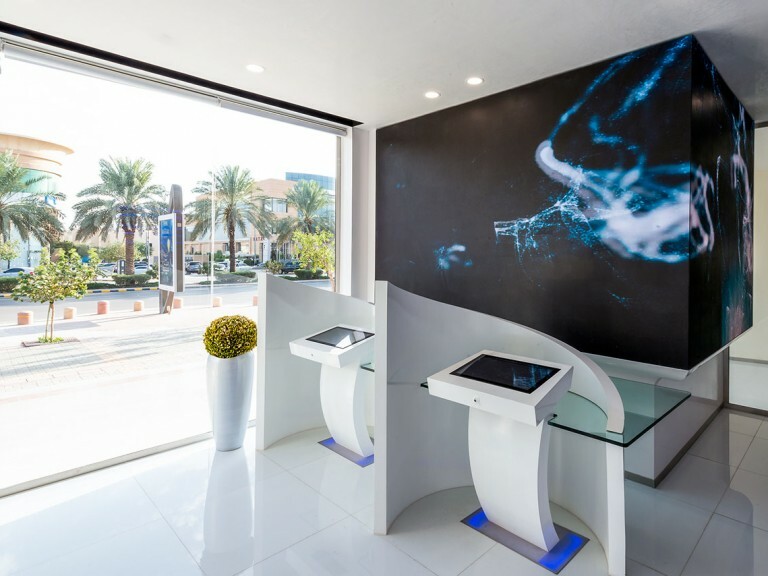 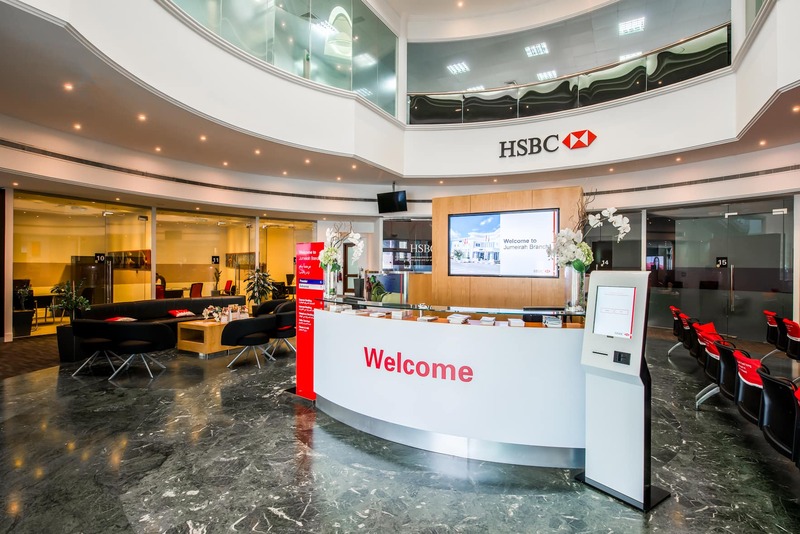 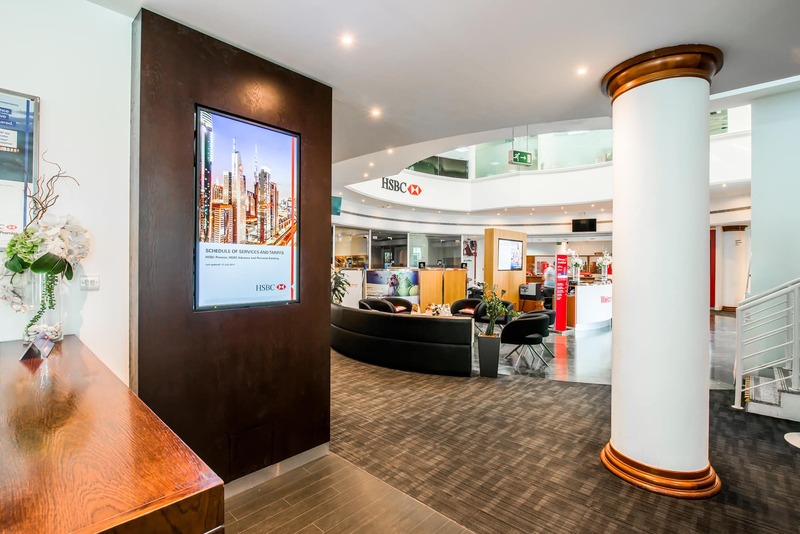 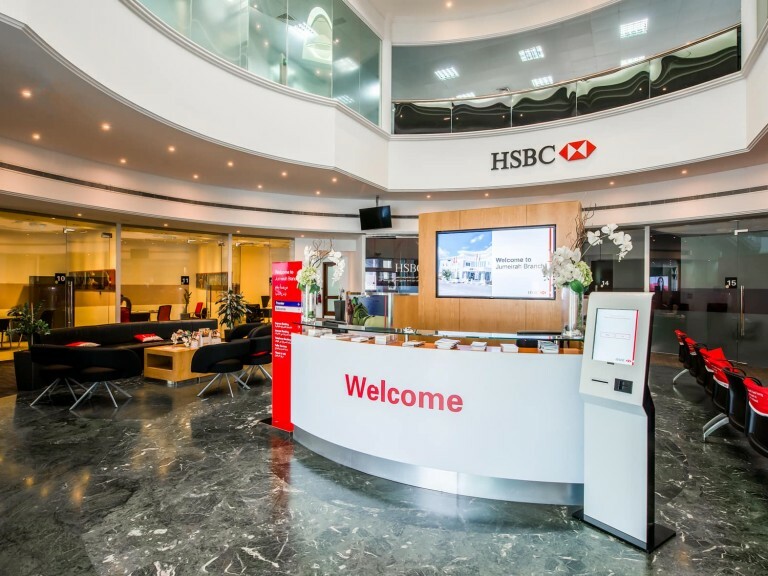 The Jumeirah branch of HSBC underwent a digital transformation, led by 2.0, that added video walls and single displays around the stylish location. . 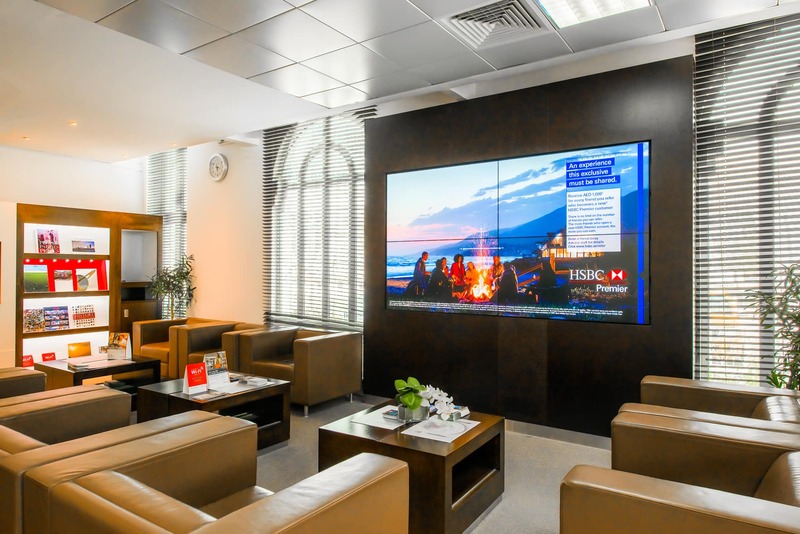 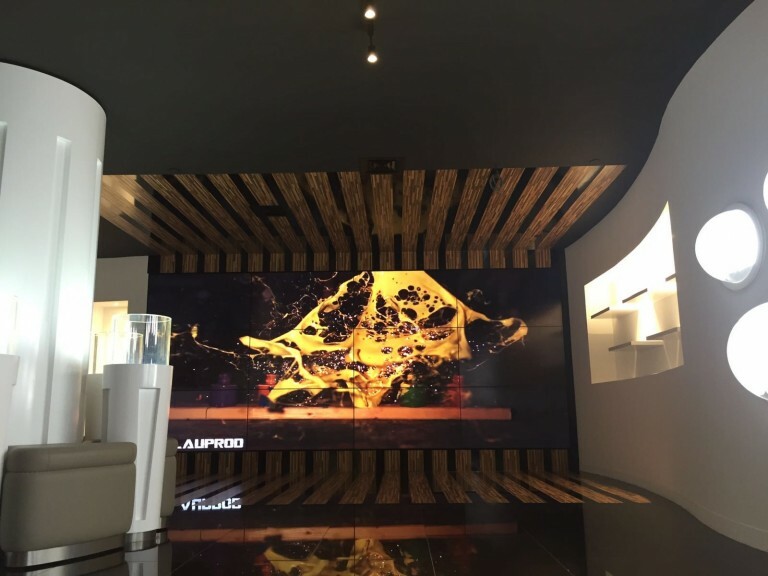 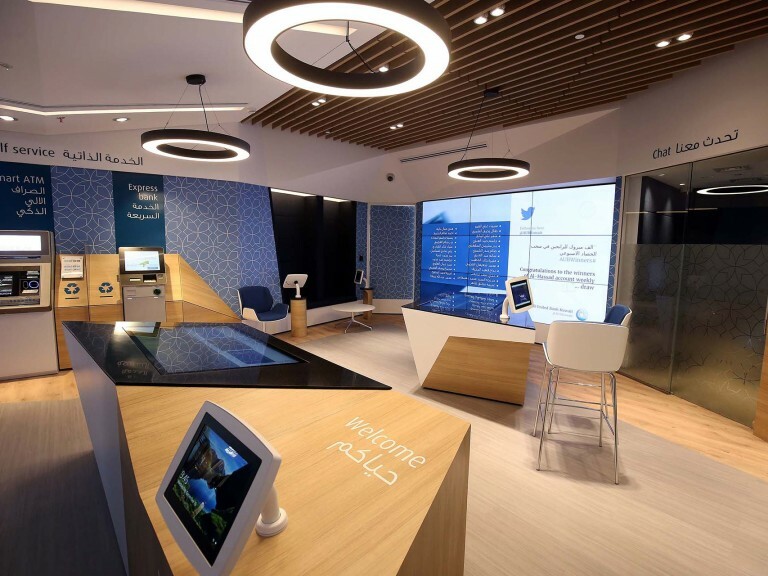 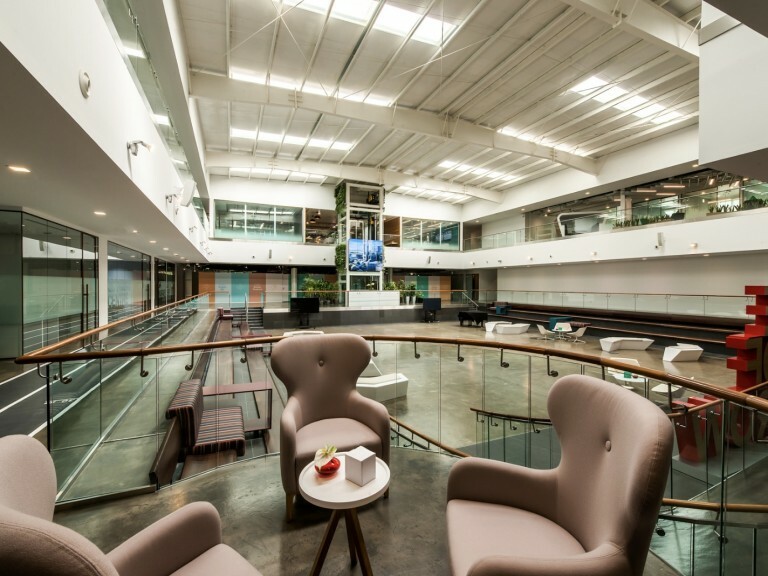 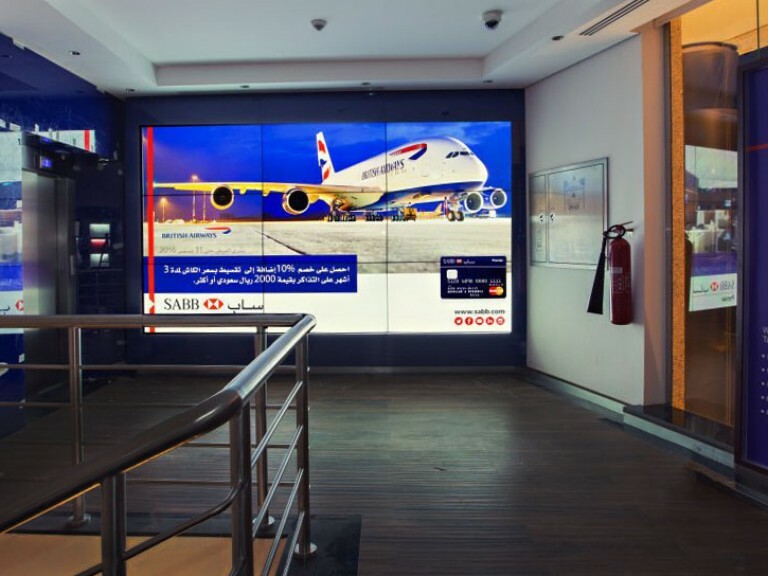 The signature installation in the branch is a beautiful two wide by two high ultra narrow bezel LCD video wall in the wood and leather soft seating area where customers wait for appointments. 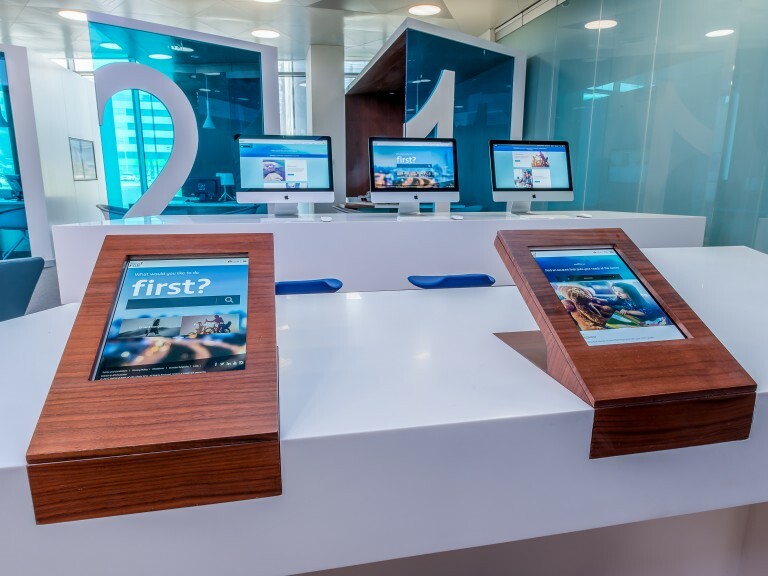 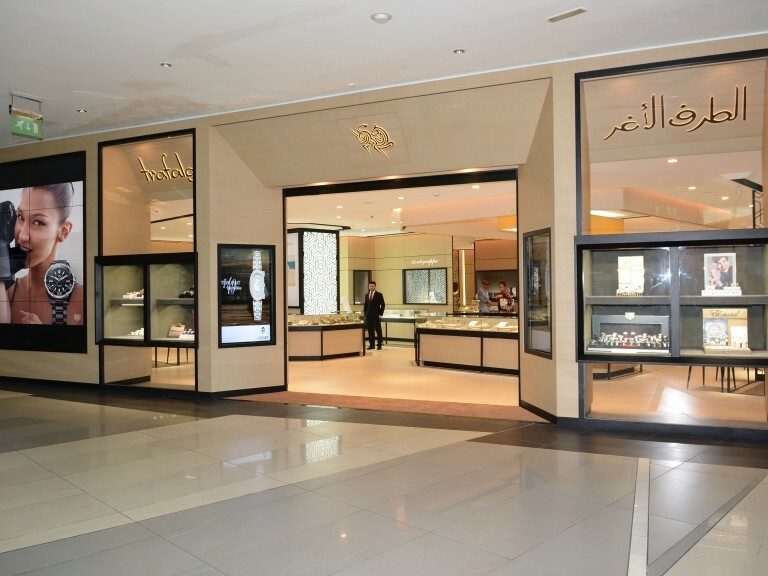 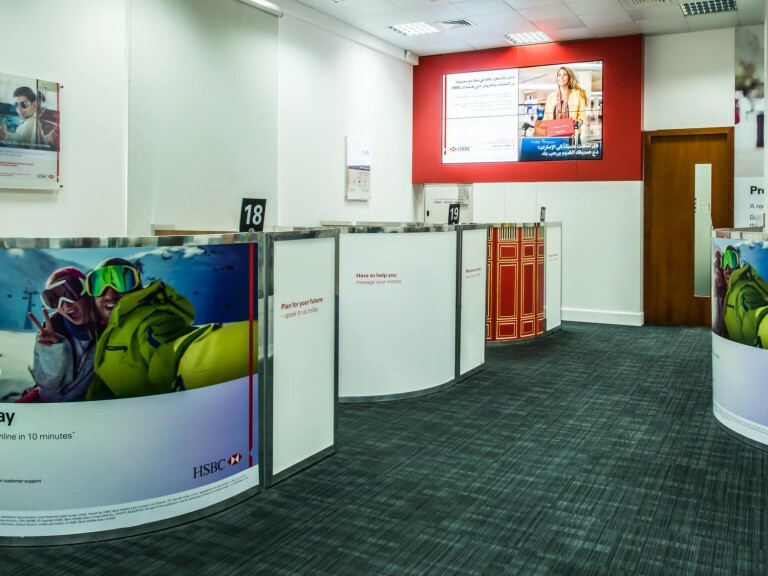 Digital posters mounted at strategic positions around the branch also serve marketing purposes, as well as display required terms and conditions for products and services. 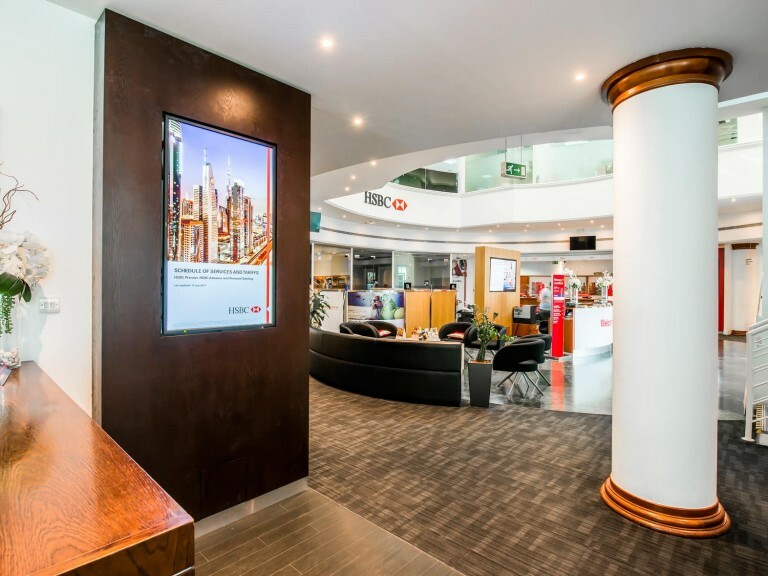 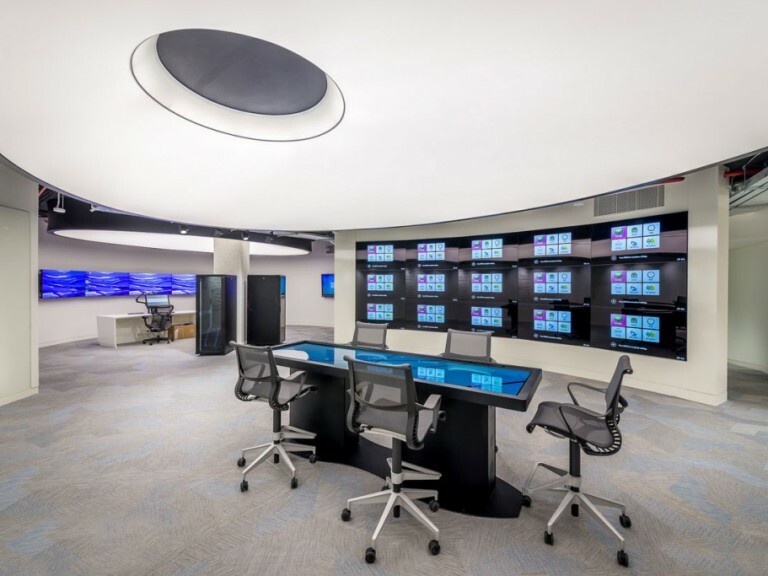 A second, similar video wall is mounted in the area where bank guests go for private meetings with HSBC representatives. 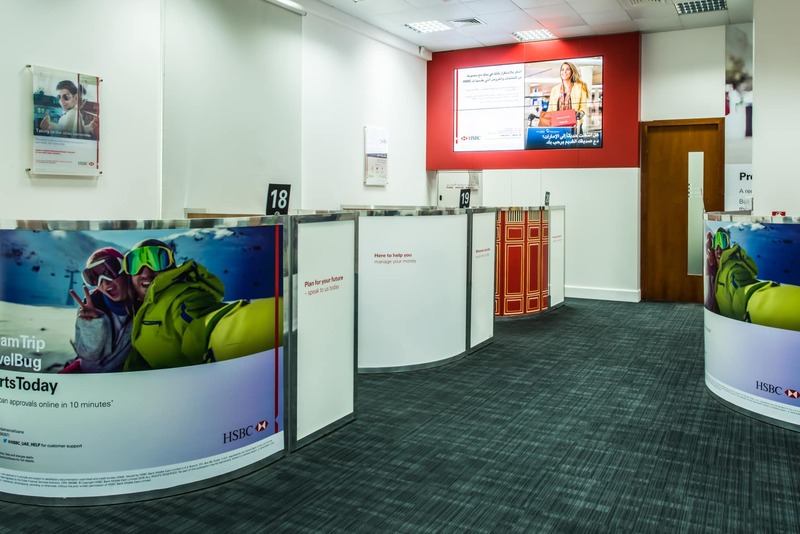 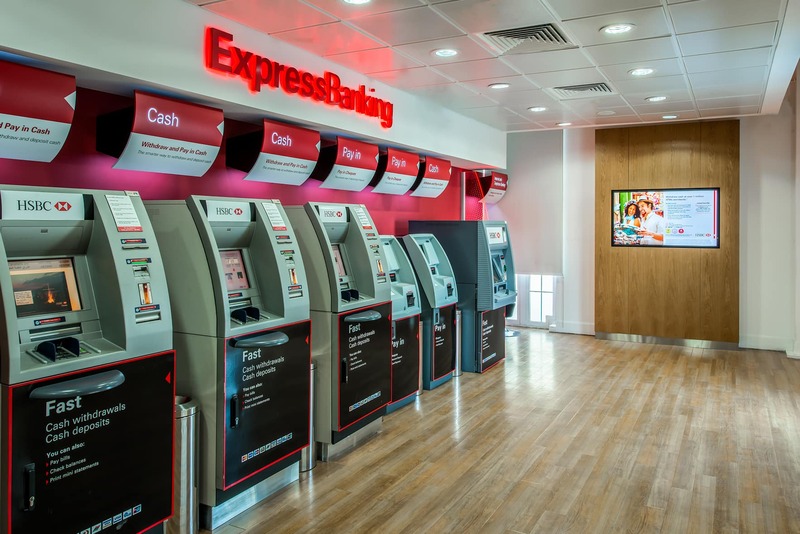 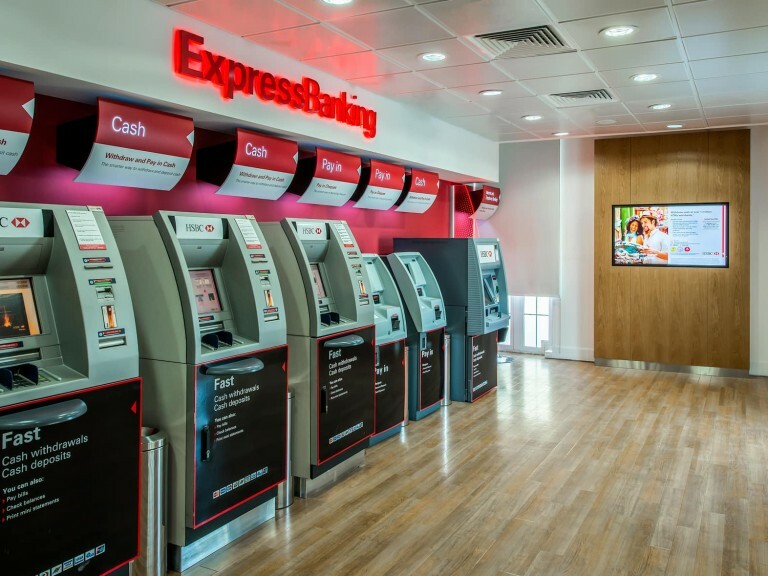 In both cases, the screens are used to market premium HSBC products and services, and drive the overall HSBC brand.